Euronormbox with discharge opening - surplus-neus Webseite! 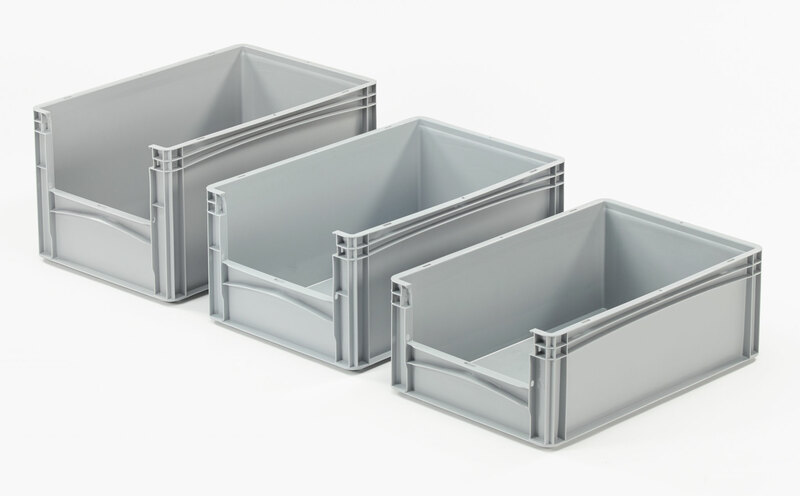 The Euronormbox with discharge opening is an inno­vative storing and organizing box. 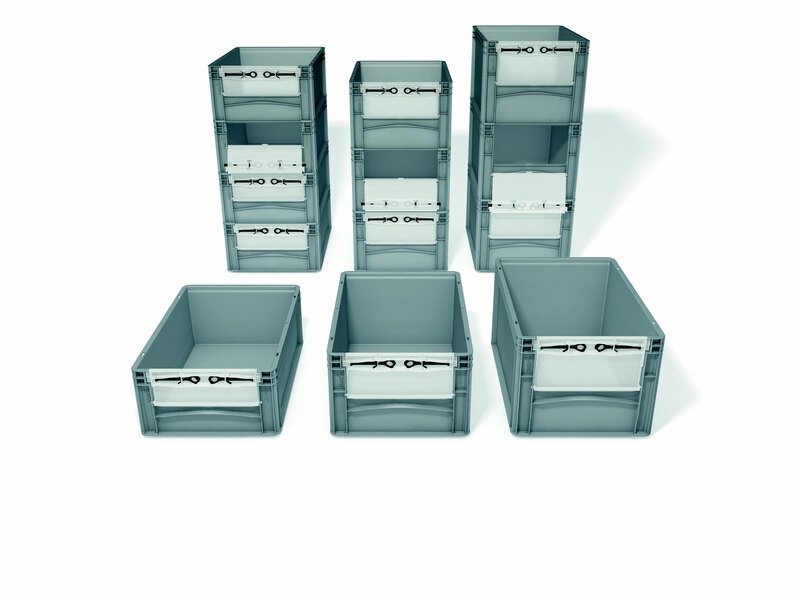 To remove objects from the stacked boxes, it is equipped with an opening on the front. Optionally, this discharge opening can be supplemented with a hatch, which can be opened and closed quickly and easily. 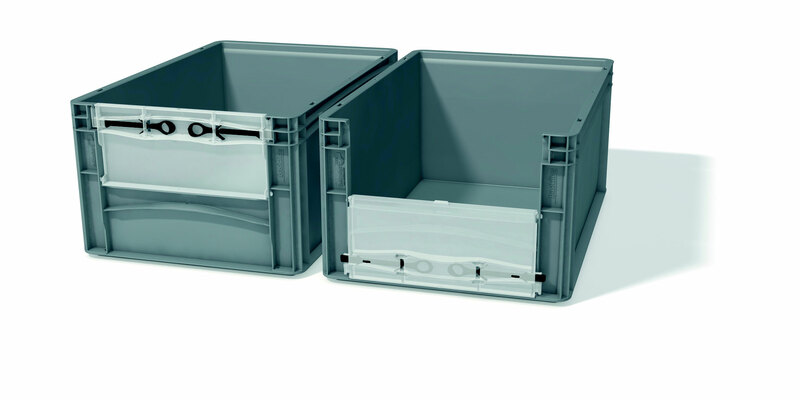 This box can also be supple­mented by our transport trolleys, inserts boxes and lids.